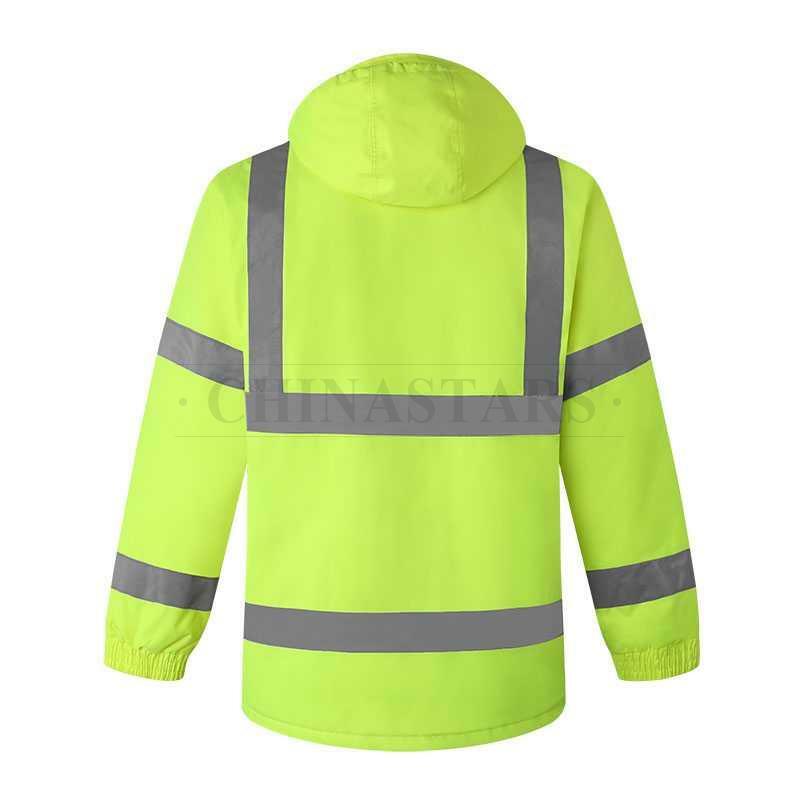 Reflective jacket with detachable cuffs. This fluorescent yellow/orange jacket meets the ANSI 107 & EN 20471 class 3 for visibility. 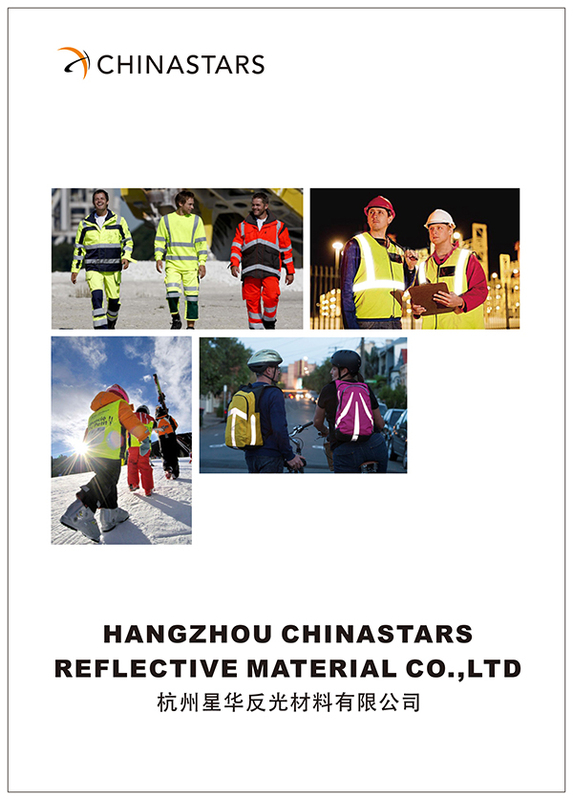 Designed with two horizontal reflective strips on body, two vertical trips in the front and four round reflective strips on sleeves which can effectively help people to be seen at night. 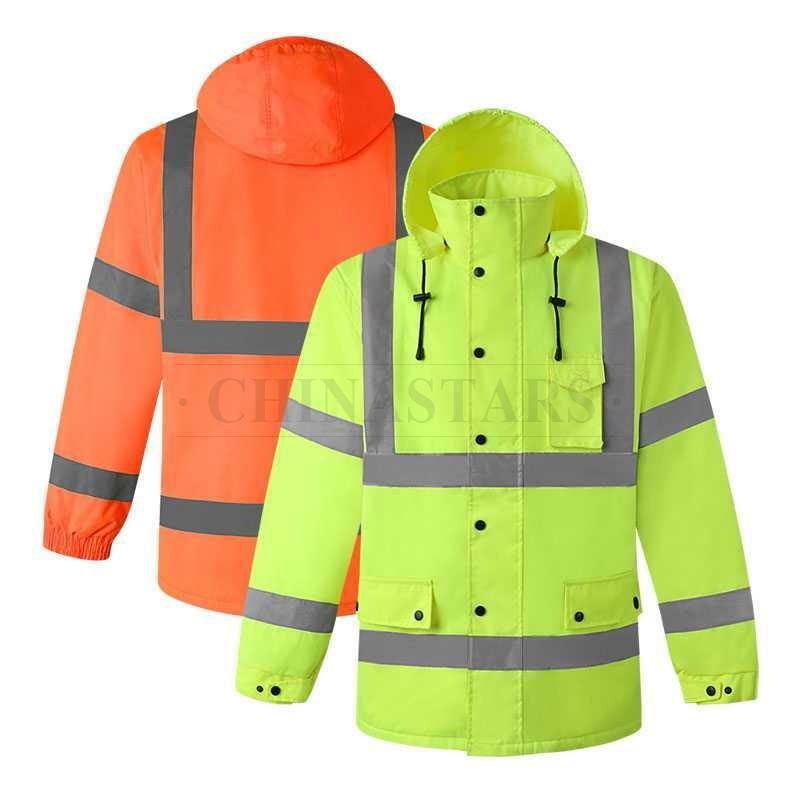 This safety jacket made up with PU coated 300D oxford shell and fleece body plus quilted sleeves, which provides comfort and warmth, allowing you to stay active, dry, and protected in most weather conditions. 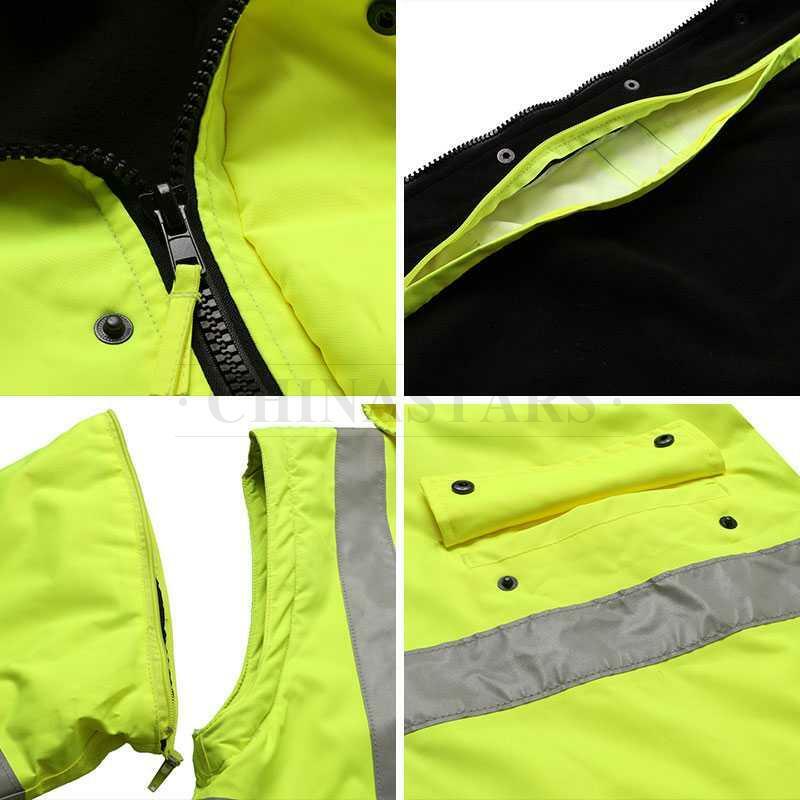 Detachable hood designed with drawstrings that can help you to adjust the size, and choose to take off or put on the hood, according to the weather. 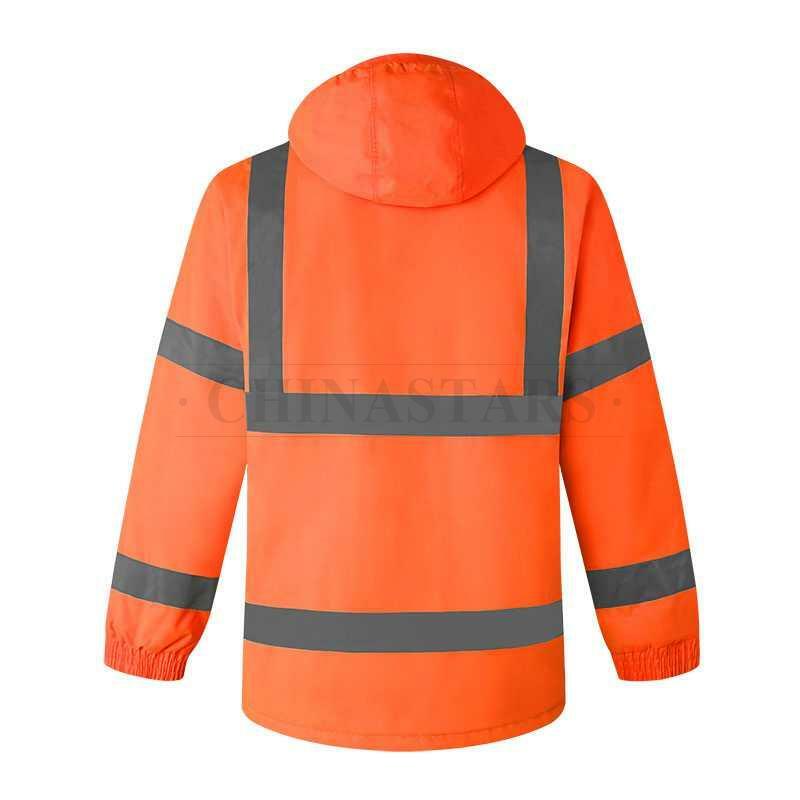 Heavy duty front zipper with lockable waterproof sheeting for maximum torso protection from water and wind. 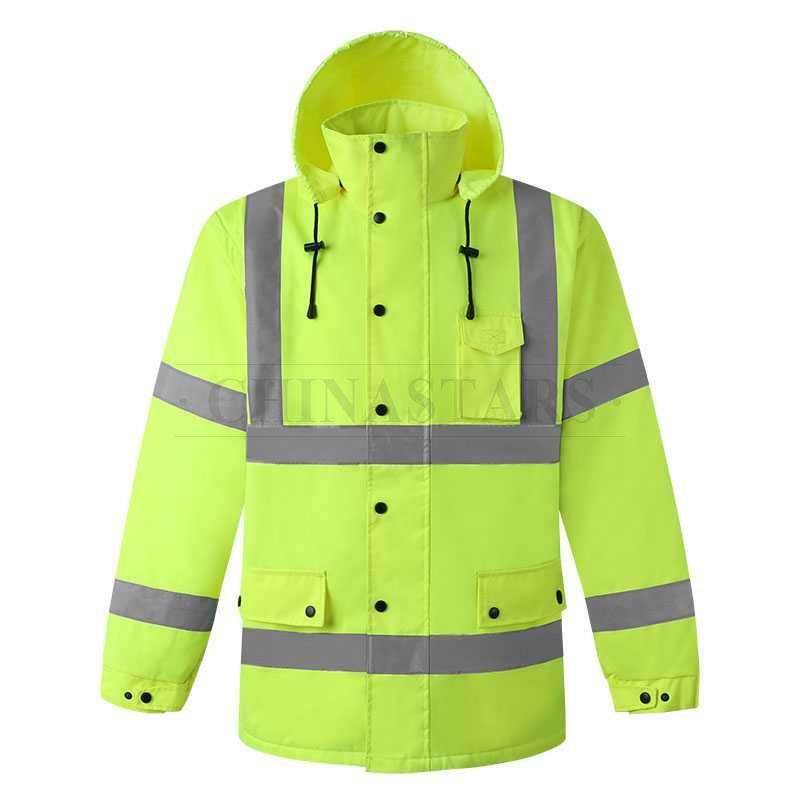 This jacket designed with three pockets, 1 Phone Pocket armed with a hook and loop seal flap, 2 lower front pockets with snaps closure to repel rain and keep valuables safe. 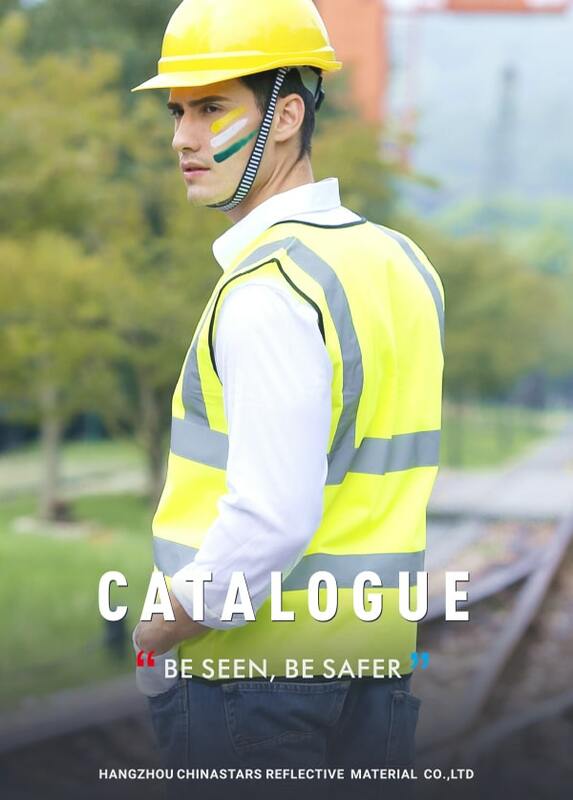 Adjustable wrist cuffs equipped with both elastic and snaps for snug fit.